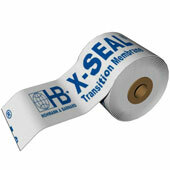 EB-Spray-Tape™ : Hohmann & Barnard, Inc., We Anchor the World! 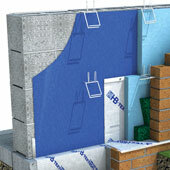 Hohmann & Barnard ENVIRO-BARRIER™ Spray-Tape is a spray or brush applied detail flashing for Hohmann & Barnard Air Barriers. 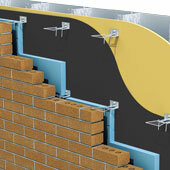 It is designed to seal door/window openings, terminations, edges of patches, and overlaps in detail areas. 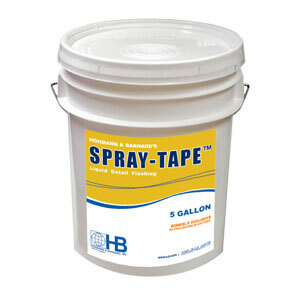 ENVIRO-BARRIER™ Spray-Tape comes in 5 gallon pails. 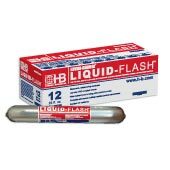 ENVIRO-BARRIER™ Spray-Tape product documents Submittal Sheet and MSDS files are available for download in the DOCUMENTS & DOWNLOADS box above. 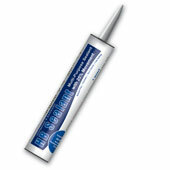 HB Sealant is recommended for filling voids and joints prior to applying ENVIRO-BARRIER™ Spray-Tape. Related Products can be found in the "Related" tab above.